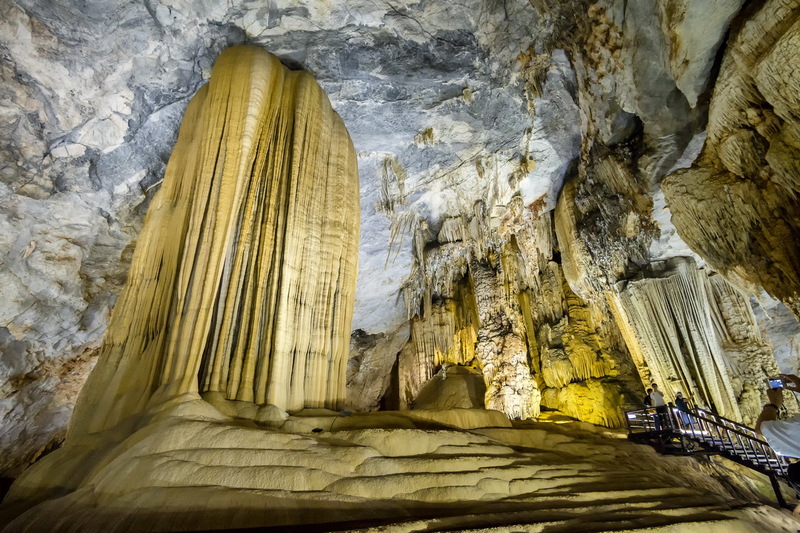 Paradise Cave… The sixth day of our Ho Chi Minh Trail journey took us in to north-central Vietnam. Right in to Phong Nha-Kẻ Bàng National Park, near the border with Laos. The park is a UNESCO World Heritage site and is located on top of one of the largest limestone formations in the world. 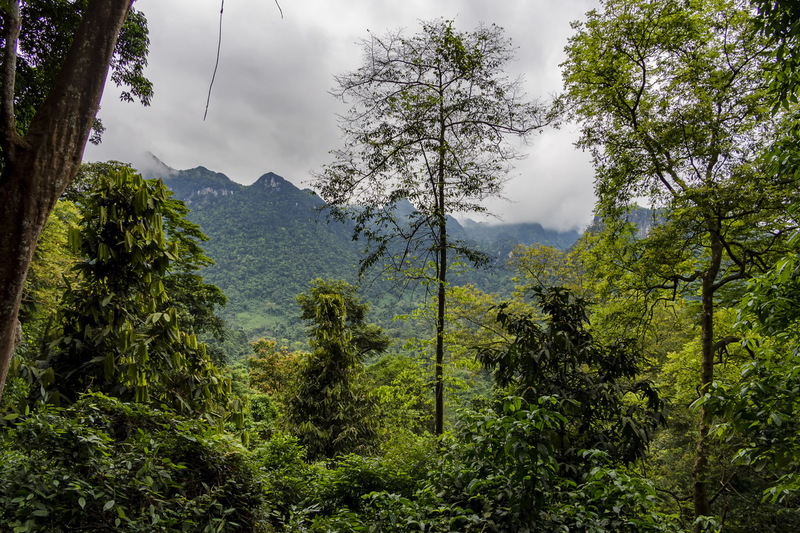 Above the surface the area is mountainous and covered in dense, almost pristine, tropical evergreen jungle. But underground the park is known for its caves – really big ones! 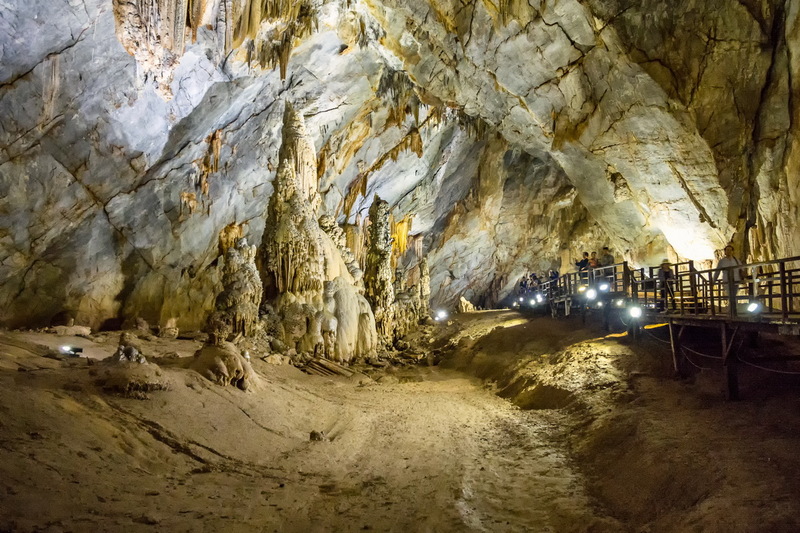 Paradise Cave, or Thien Duong Cave, was only discovered in 2005 – quite by accident… British cavers were searching for another monster cave found and then lost again in 1991. It would seem impossible to lose something that big, but this is a very remote are. It wasn’t the cave that was lost – just the entrance to it. Which had been discovered by a local farmer called Ho Khanh while fossicking for aloe in the area. The monster cave became a local legend and has still to be found again. 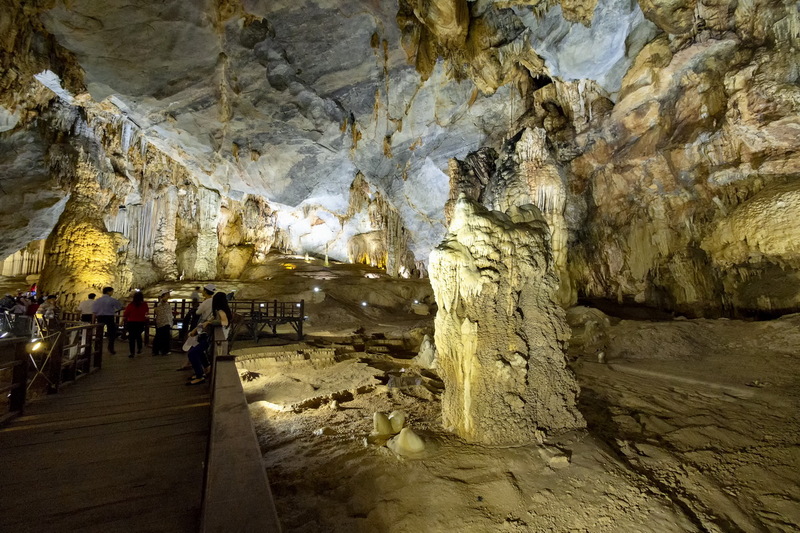 But Thien Duong Cave is a pretty good second prize and at 31km in length is currently the longest in the park. 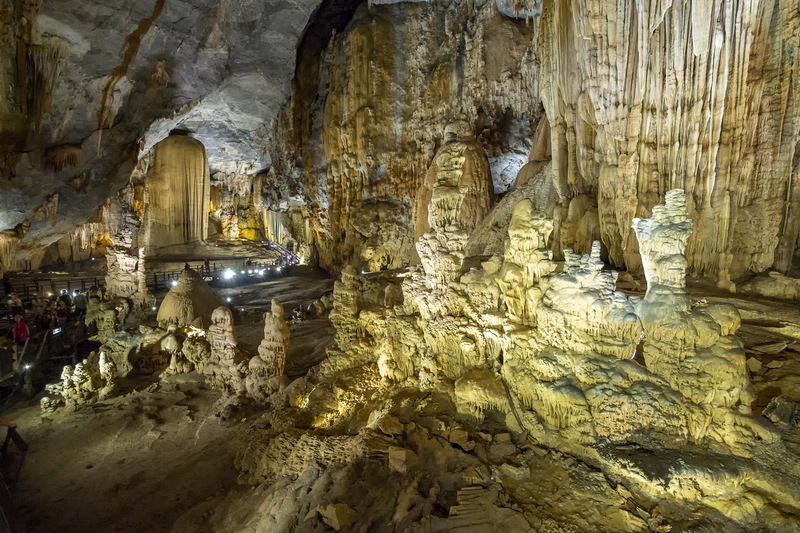 It really is a thing to see and its sheer size, together with it’s spectacular stalactite and stalagmite structures, impressed the British cavers so much they gave it it’s name! 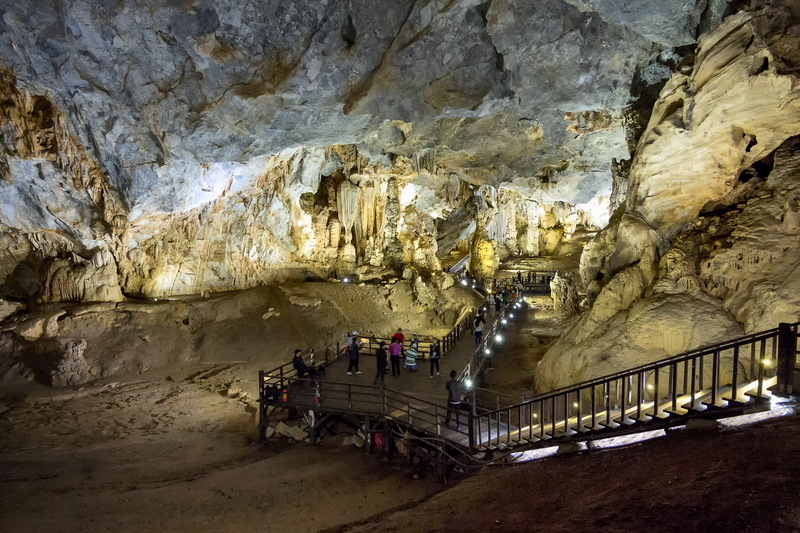 The cave and Phong Nha-Kẻ Bàng National Park are located 60km to the northwest of the coastal city of Dong Hoi.